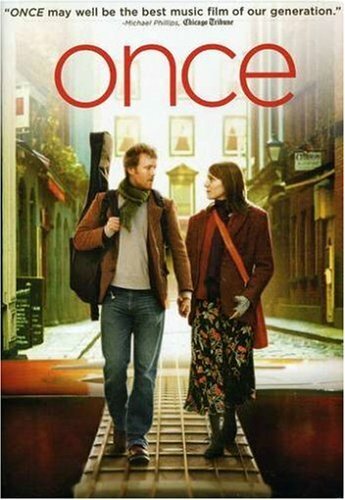 OK Once is not actually my favourite film but it’s not bad at all. I was in the middle of a lesson the other day and this was the only film I could think of. I did this lesson (or a version of it) and it went really well. It’s a simple low-level lesson and if you do similar lessons or activities little and often, you really will begin to get slightly more autonomous students. The whole idea is to encourage them to notice the language that’s all around them just a little bit more. In this case, they have a tiny text but they’re going to use it to notice 3 language points as well as working on noticing errors and getting the meaning of vocab from context. If you’re looking for some more film related lessons try this one or this one. Tip: If a film comes up in class that your students don’t know, do a research hunt. Give them 3 minutes and send half the class to IMDB and half to Wikipedia and then see what they come up with. It’s great for practising independent research skills. ← The Queen is all old and all that jazz!